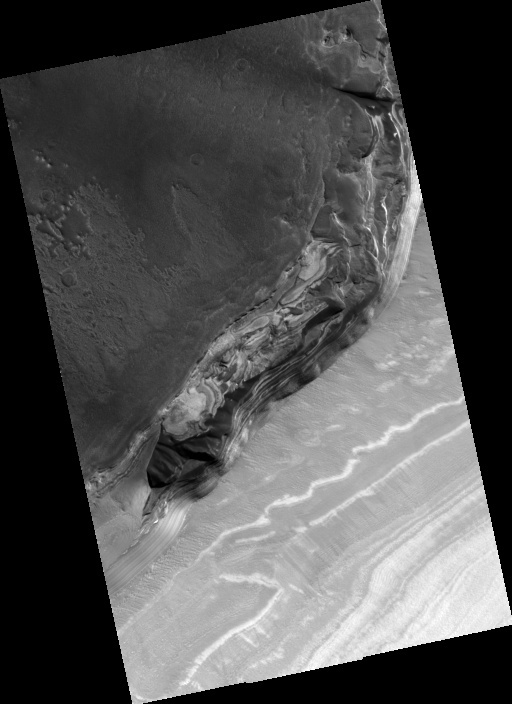 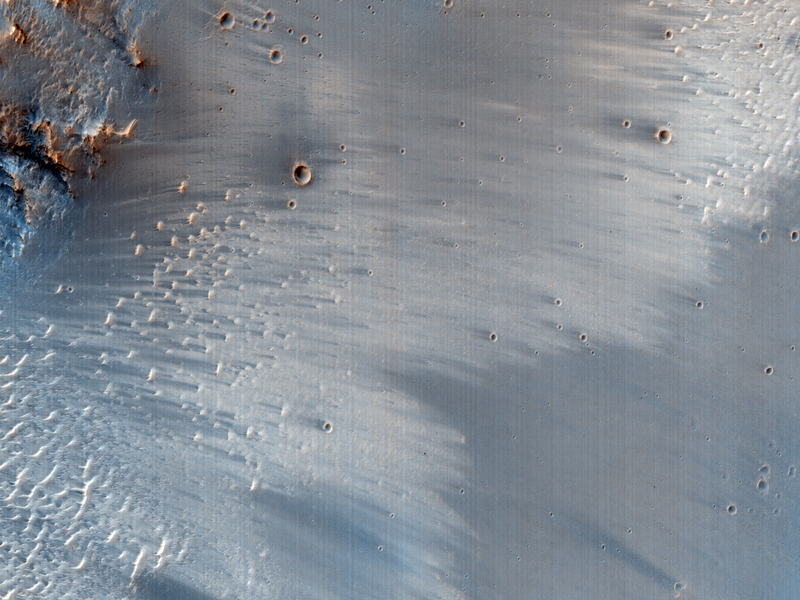 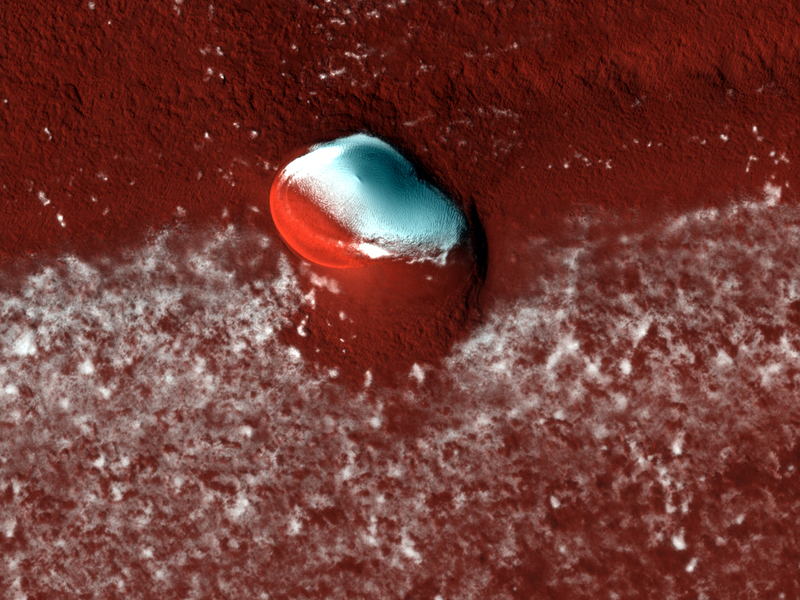 This image shows a portion of Uzer Crater, located in Sinus Meridiani near the equator in the northern hemisphere of Mars. 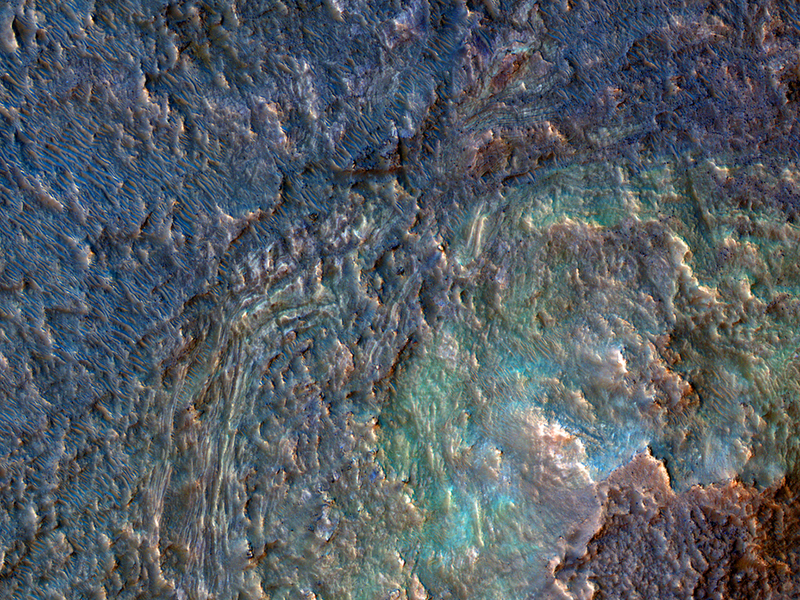 Light-toned layered rocks are visible on the wall of Uzer Crater. 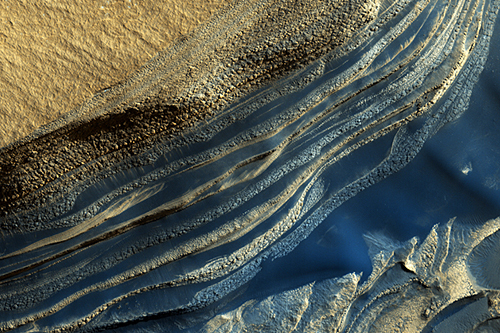 Differences in color highlight variations in the layered units. Wind erosion, in particular, has modified the layers since exposure creating rounded depressions. 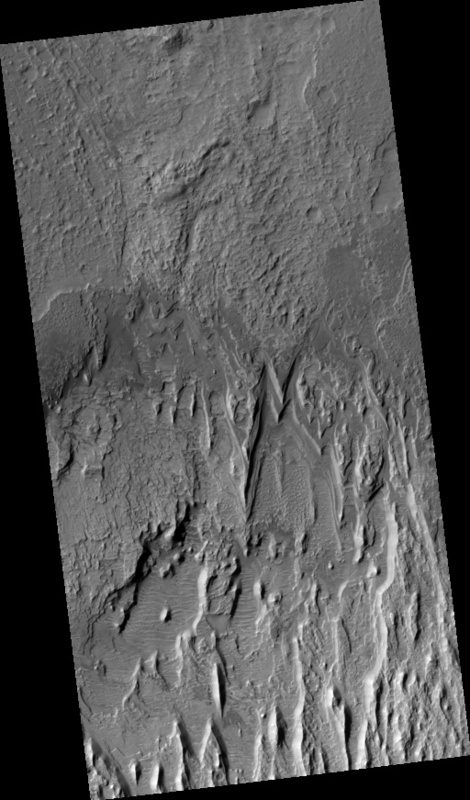 These layers are interpreted to be an outcrop of sedimentary rocks that formed by sediments once deposited in this area. 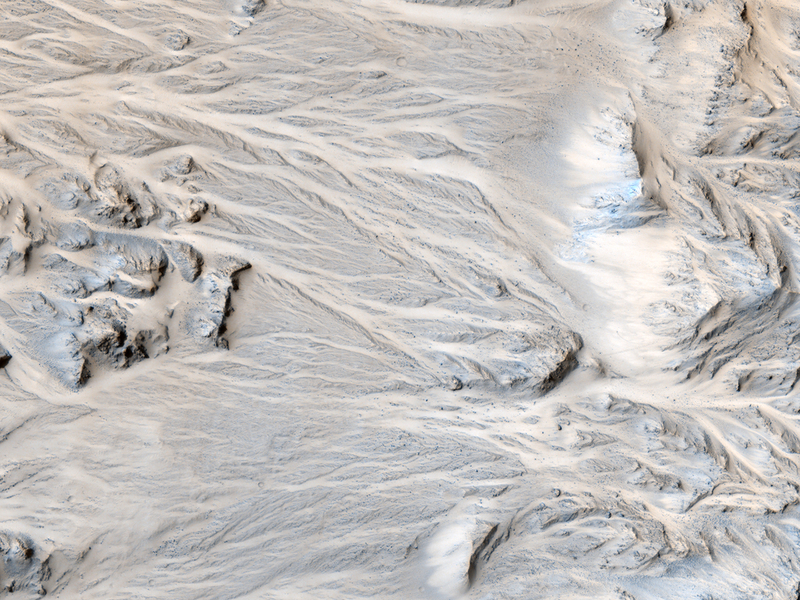 The origin of the sediments composing the layers is unknown but may have included fluvial processes and wind blown particles such as dust or volcanic ash. 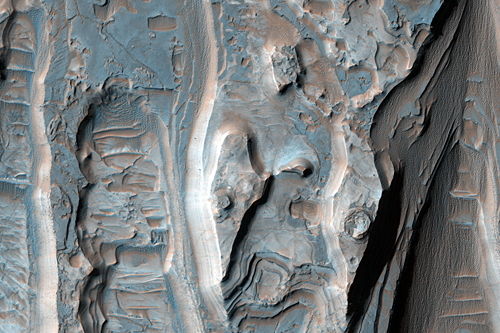 Over time, the sediments were solidified into rock and eventually exposed when an impact formed Uzer Crater. 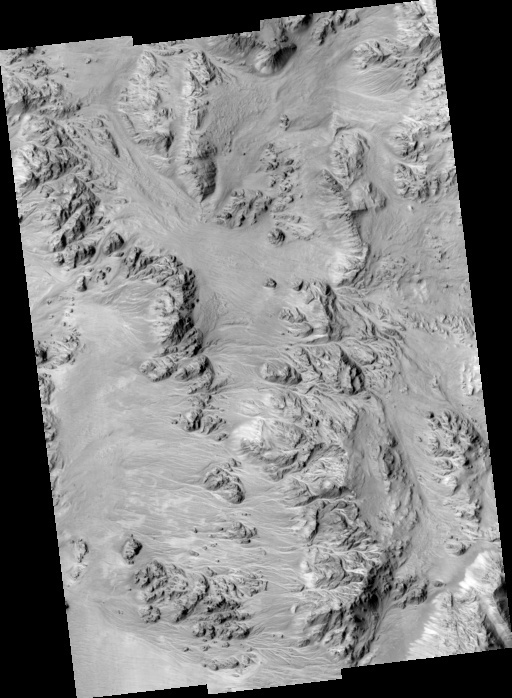 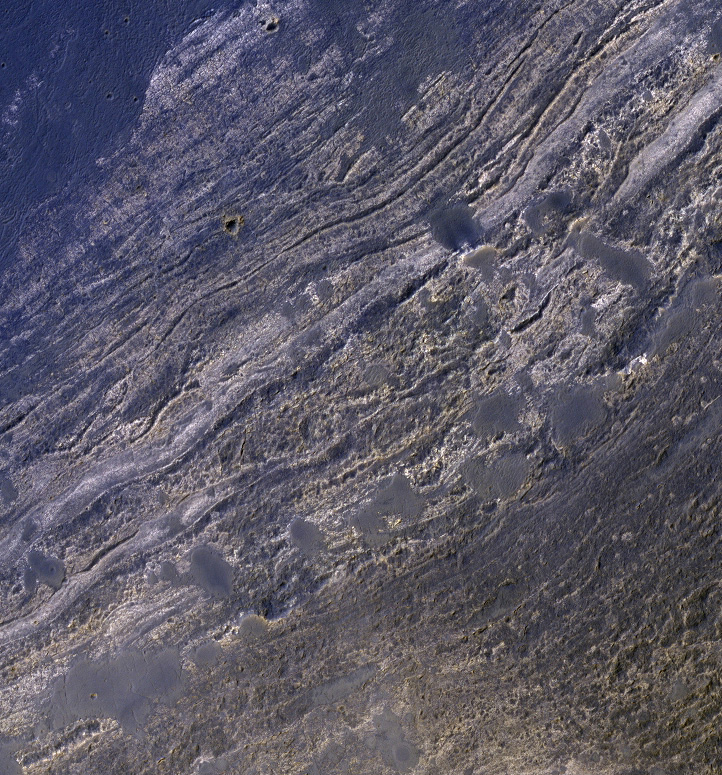 Northern Sinus Meridiani has many similar outcrops of light-toned sedimentary material that are observed over a large region. 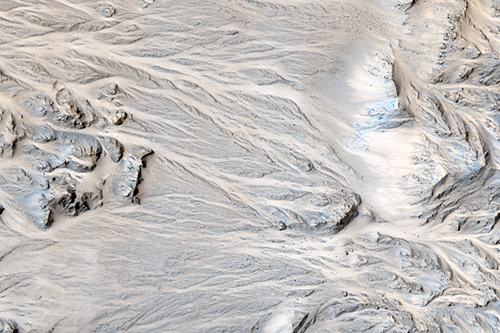 On Mars, as on Earth, sedimentary rocks preserve a record of past environments. 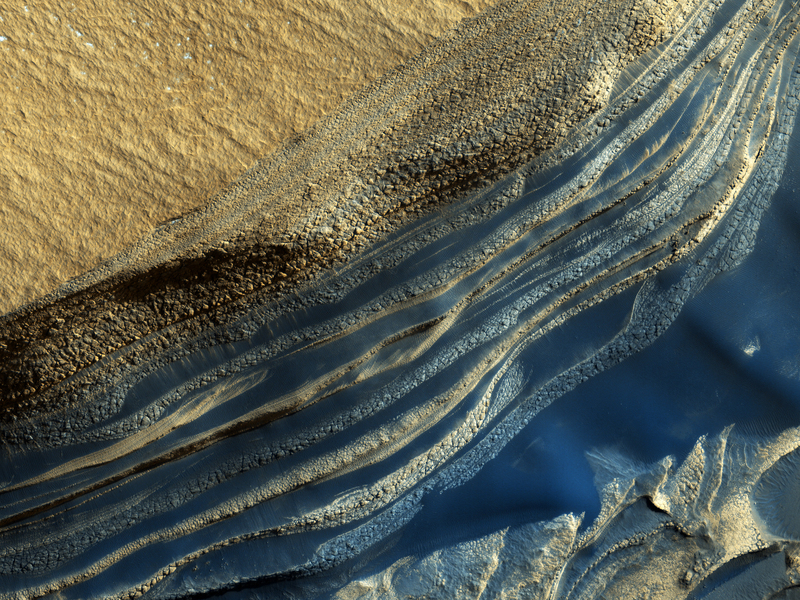 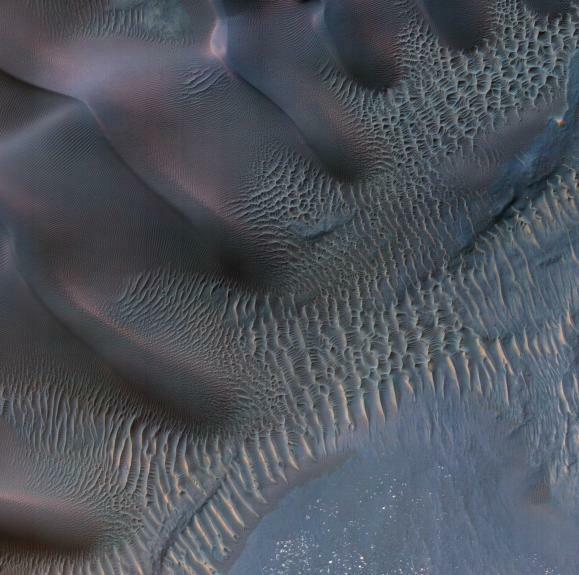 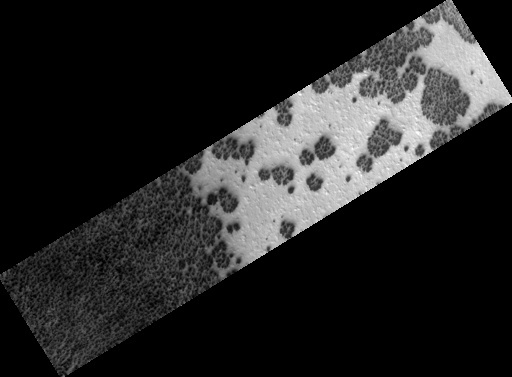 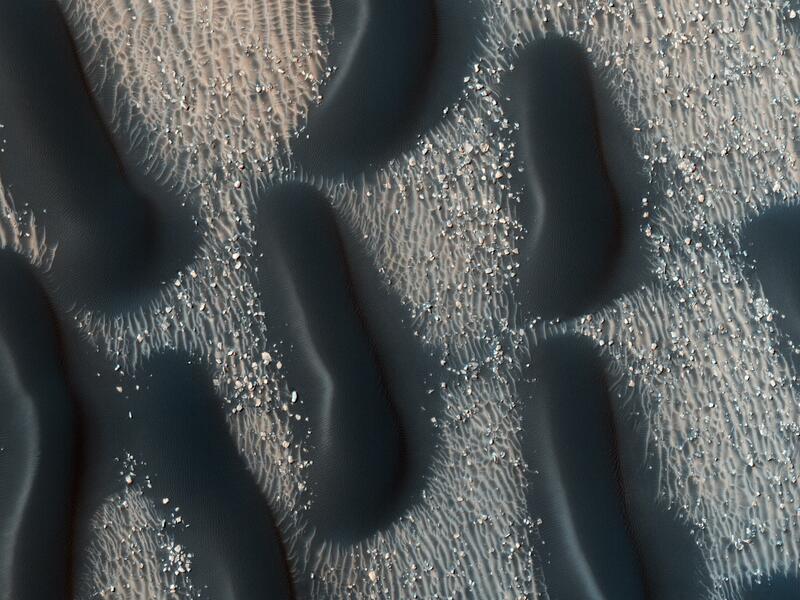 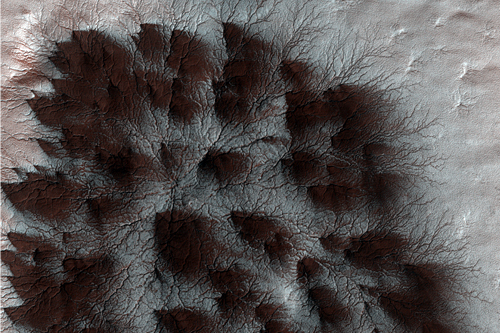 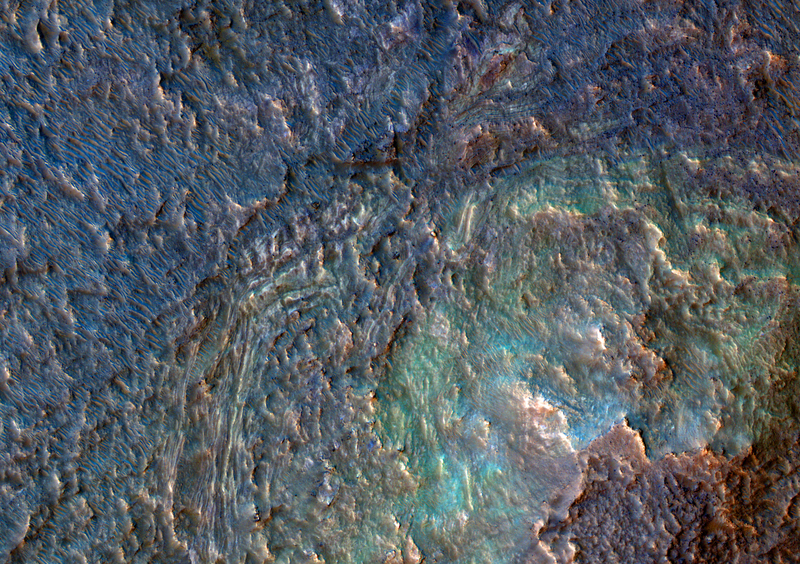 HiRISE color images reveal details in the layers that will help scientists learn more about their origin. 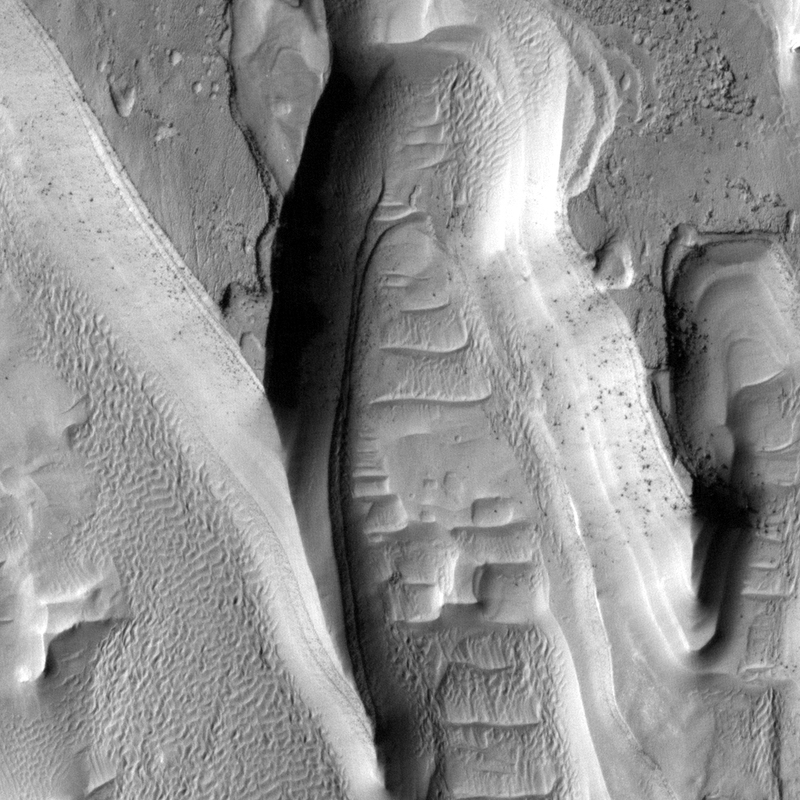 The north polar layered deposits, and the bright ice cap that covers them, are very young (by geologic standards) features. 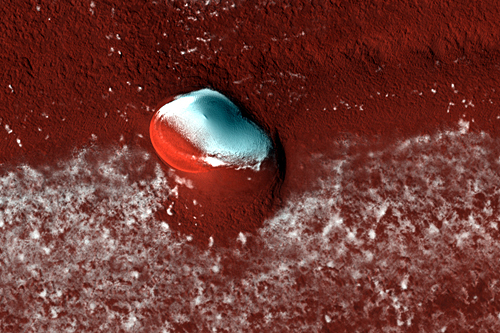 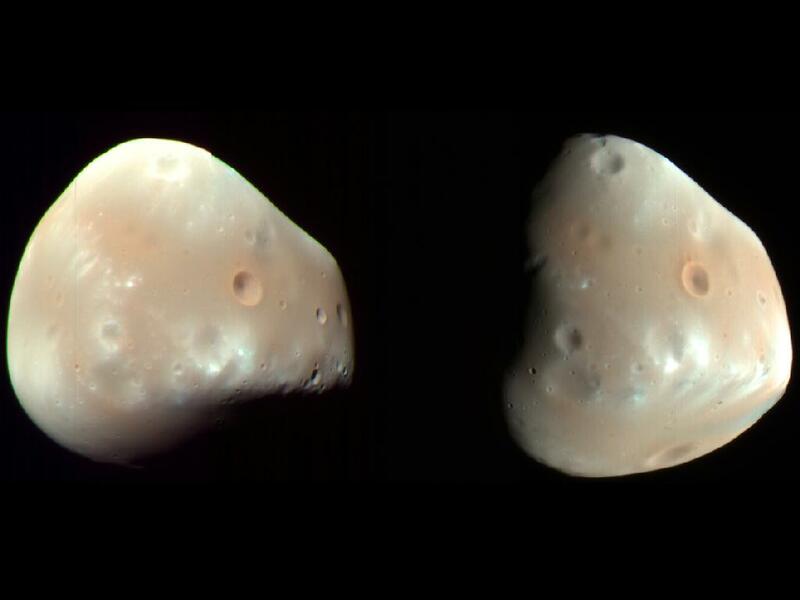 To try and figure out the age of an area, or how quickly it’s being resurfaced, planetary scientists count up the number of craters at different sizes. 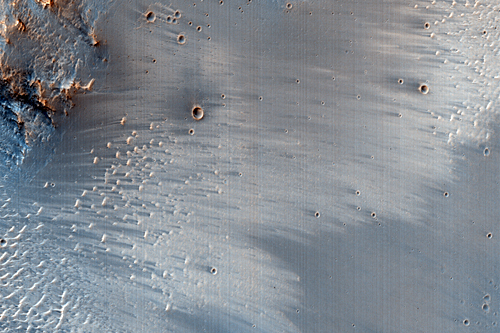 An older surface has more time to accumulate more craters whereas a younger surface, or one that has a lot of geologic activity that destroys craters, doesn’t have many impact craters.